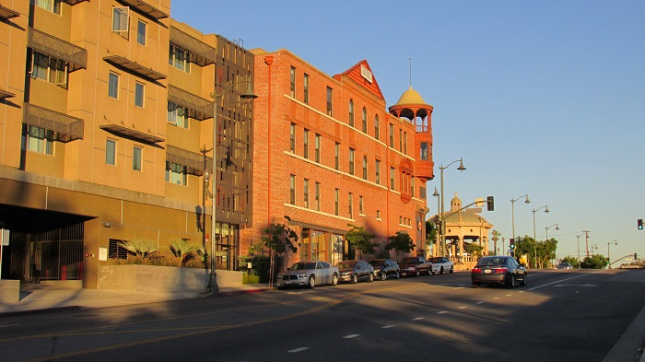 New development in Boyle Heights, right next to the historic Mariachi Hotel. I’ve heard people complain that Angelenos don’t know their neighbors. To a large degree that’s true. We tend to build our own little self-contained worlds, and get nervous when outsiders try to invade. In order to make it through the day, I try to keep interaction with strangers to an absolute minimum. In part, this is because I’ve found that some strangers want way more than I’m willing to give. Living in the city, you have to be at least a little wary. But the downside is that there are very few places in LA where you can find a real sense of community. You might find a scene where you can hang out with people who share your passions, but chances are they’re coming from all over the city. You don’t find too many neighborhoods where everybody knows each other. And because of that, we don’t know our neighborhoods. The tenants in the building next to ours could be getting evicted for a condo conversion, and we might not be aware of it until the construction crews show up. Even when we find out what’s going on, we’re likely so wrapped up in ourselves that we don’t start worrying until the eviction notice shows up in our own mailbox. So I was really intrigued when I heard about Union de Vecinos (UV), which could be translated as Neighbors United. 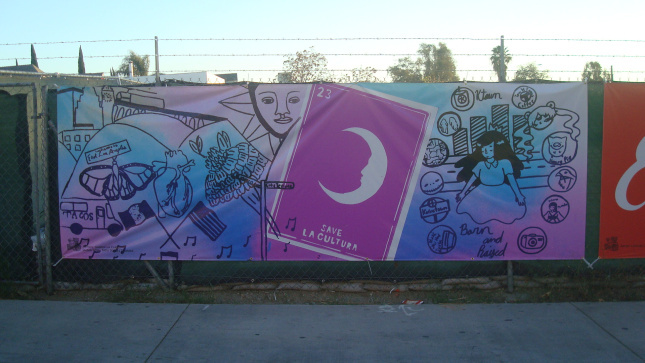 It’s a grassroots group that’s been working in Boyle Heights for twenty years. They got their start back in 1996 when public housing in Pico Aliso was threatened with demolition, and they worked to protect renters threatened by displacement. But UV isn’t just reactive. They’re also creative. Starting with neighborhood committees, they work within the community for positive change. This is from their web site. [Union de Vecinos promotes] economic and environmental justice, civic engagement, preservation of housing, and building healthy and stable community neighborhoods. We do this through community organizing, popular education and direct action. In our model, solutions to a problem are developed by those most affected – community – this is what drives us and is at the heart of our work. The part of this paragraph that jumps out at me is, “solutions to a problem are developed by those most affected.” So often in the City of LA we have elected officials meeting behind closed doors with bureaucrats and business interests to devise plans that really don’t address the needs of the citizens. When they do hold public meetings and ask for input, it’s generally just for show. They’ve already decided what they want to do, and the meeting is really about selling their own agenda. Banner on fence at a construction site on First Street. Art by Gabriella Claro, Salma Sosa, and Tatei Torres Thomas. So the idea of a neighborhood group that sets its own priorities and creates its own agenda sounded really good to me. I went to Boyle Heights to talk to UV members Leonardo Vilchis and Elizabeth Blaney about the challenges the Boyle Heights community is facing these days. A lot of it has to do with development, and the related problem of gentrification. In early 2015, the Metropolitan Transit Authority (MTA) announced plans for a project to be built on Mariachi Plaza. Unfortunately, the MTA didn’t bother to ask the community how they felt about it. There was a huge public outcry, and Union de Vecinos was one of the groups that raised their voices in protest. The MTA shelved the project for the time being, but they’re planning to come back with another version. I asked Leonardo if he thought the public would have more of a voice this time. Elizabeth spoke about UV’s engagement with the East LA Community Corporation, one of the developers building on and around MTA land. ELACC is working on creating affordable housing in Boyle Heights, but displacement of low-income families is still an issue. “We want affordable housing for the 7,000 families that make less than $25,000 in our community,” she explained, “but if they’re demolishing existing units, we have to make sure that those tenants will be welcome in the new project.” Recently UV negotiated a deal with ELACC to ease some restrictions to allow displaced tenants the right of return. I asked what kind of projects UV was working on in the neighborhood. What a concept. People taking responsibility for their neighborhood and working together to make it better. It’s not a new idea, but it’s something many of us who live in LA have forgotten how to do. Maybe we could learn a few things by following Union de Vecinos’ example. If you want to learn more about what they’re up to, here’s the link to their web site. 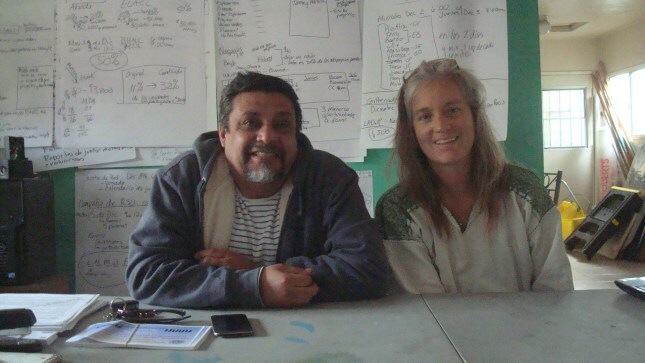 Leonardo Vilchis and Elizabeth Blaney of Union de Vecinos.